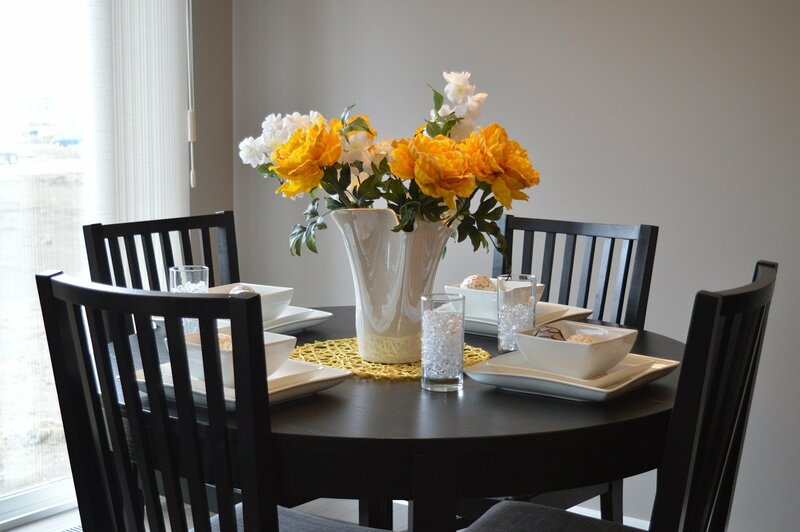 How to choose a perfect dining table for your family? A traditional venue for family gatherings, the dining table is undoubtedly one of the most significant furniture pieces in our home. To choose a table that suits both your space and demands, therefore, requires not only time but careful considerations. However, with Häfele’s following guide, that job of yours will hopefully become less challenging and more efficient. Whether you plan to place the table in the living room, kitchen or dining room, the first thing to do is measure your available space. 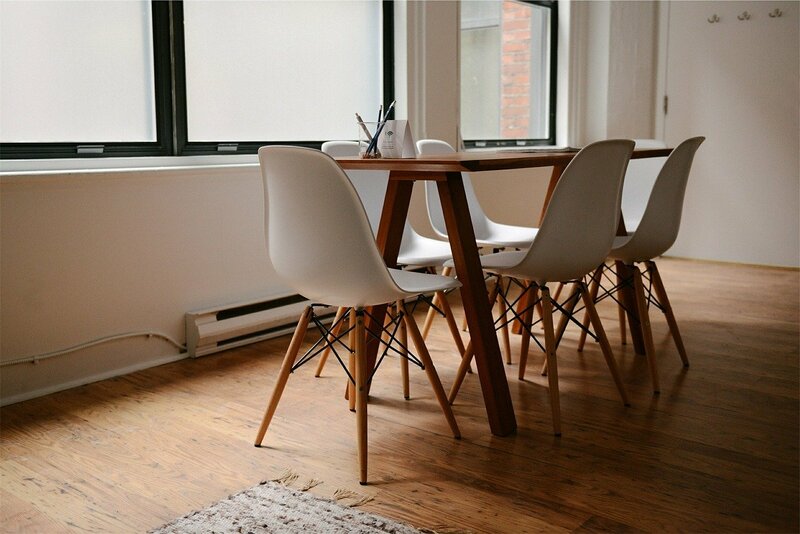 According to many interior professionals, the distance between the table and walls or surrounding furniture for that matter should be at least 91.5cm, and preferably, 122-127cm, so you can move around easily. One rule of thumb is to choose the shape of your dining table in accordance with that of the room where it will be located. That’s also the reason why rectangle tables are the most popular. However, for a small space, square, round and oval tables will make your room look less crowded. Depending on its size, a dining table can host between 2-16 seats, meaning that there are no limits to your choice of size. However, you need to remember that a well-sized table should be able to provide a width of 61cm for each seating, and that a large table can make the atmosphere of your dinners feel distant while a small one can create the feeling of closeness and intimacy. In case you cannot decide on the number of seats, an expendable table with leaves is your best choice. 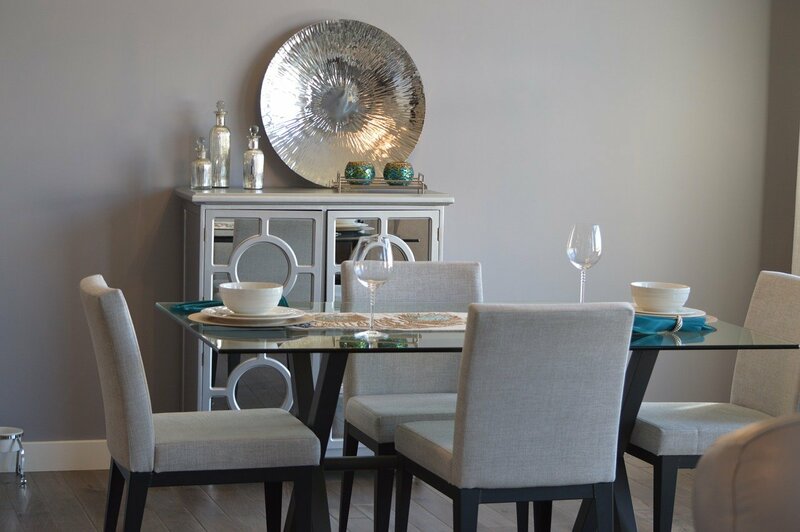 If you do not have much space to spare, consider choosing a table with light designs and materials such as a glass tabletop and small-footprint and plain legs. Then, you have to think about the style of dining chairs, as a dining table cannot be complete without chairs. Simple and curved chairs can help soften the hard lines of square and rectangle tables, while chairs with sharp corners are the best supplement to oval and round tables.